On Decemberly, Oh Susanna teams up with pianist and songwriter Michael Johnston to perform new and classic holiday songs. Inspired by the Christmas parties Michael and his partner Annie host each year where friends gather around the piano to sing, Oh Susanna and Michael decided to record a mini album of songs with just piano and vocals. This collection of songs and the intimacy of the recording pays homage to albums and artists such as A Charlie Brown Christmas by the Vince Guaraldi Trio, A Very She & Him Christmas, and Ella Fitzgerald and Louis Armstrong’s fun interplay. 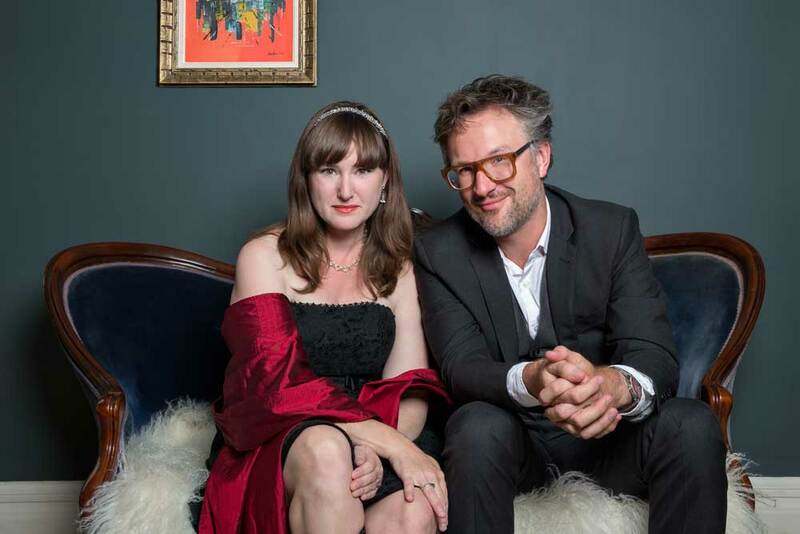 On November 29, Oh Susanna and Michael Johnston will celebrate Decemberly with a show at Toronto’s Hugh’s Room where they’ll be joined by Kate Boothman, Gentleman Reg, Michael Johnston, The Layrite Boys, Whitehorse, Tom Wilson, and The Young Novelists. Tickets are available at www.ohsusanna.com. Decemberly will be available on all streaming services on November 16 and will be available to purchase in Toronto at Hugh’s Room and on her upcoming tour of the Netherlands.